How Long Does it Take to Get a Degree Online? 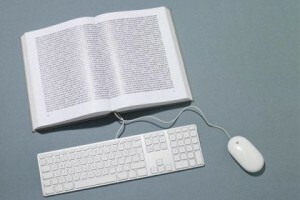 When students consider earning their degree from an online college or a distance learning program from a traditional university, one of the most common questions is, “how long does it take to get a degree online?” While the length of time completion for online degrees is typically similar to those pursued within a classroom setting, there are number of factors that impact the amount of time needed to complete the degree fully online, including the degree level, the school, and the number of classes taken each term. Taking all of these factors into consideration, the following provides an overview of the average online time to completion for degree programs at each of the levels. As a degree that is often earned from community colleges, vocational schools, and trade schools, an online associate’s degree can provide occupational training needed to enter a specific business field or industry. In most cases, online associate’s degrees can be earned within just two years of study for a total of around 60 undergraduate credits. That being said, many online students decide to complete their coursework straight through the academic calendar, including during summer and winter breaks. When students participate in an online associate degree program year-round, they have the ability to complete the degree in as little as 12 or 15 months. Since most accredited associate’s degree programs online have transferrable, graduates then have the option of earning a bachelor’s degree in just two additional years. Due to the fact that an online bachelor’s degree comes with higher credentials than the associate’s degree for obtaining mid-level jobs upon graduation, it is no surprise that it takes at least double the time to complete a baccalaureate-level program online. According to the National Center for Education Statistics, the median time it takes for an online student to earn a bachelor’s degree is 52 months. While some first-time bachelor’s degree recipients can complete the bachelor’s degree within four years of their initial enrollment, others on a part-time schedule may take up to six years. Regardless of the time it takes, the majority of accredited online bachelor’s degree programs require at least 120 semester credits for completion. Unlike bachelor’s degree programs that typically take at least four years of undergraduate studies to complete, most accredited online master’s degrees can be fully completed within two or three years of advanced coursework. In general, online master’s degree programs in psychology, history, counseling, English, or accounting can be completed full-time within two years, but master’s degrees with more credit hours in engineering, nursing, business, and management often need three years of full-time study. However, when working professionals decide to complete their graduate degree part-time online, it is common for them to take at least one to two years longer to finish their degree requirements. Earning an online degree can be the perfect choice for individuals who are seeking career advancement, but cannot attend classes each week on a physical college campus due to work or family obligations. Online degree programs come with the benefit of lower tuition costs, increased flexibility in study times, and convenience for attending classes from anywhere with an Internet connection. Therefore, instead of focusing on how long does it take to get a degree online, it is more important for prospective online students to question how pursuing their degree program online will benefit their current professional and personal circumstances.